If you enjoy building projects using the Arduino platform and Arduino shields you might be interested in a new device called the Dr Duino which has been created by Guido Bonelli. Simply positioning the Dr Duino Arduino shield board between your shields and use the jumpers to break the connection between the shield above and below without taking apart your stack time and time again. 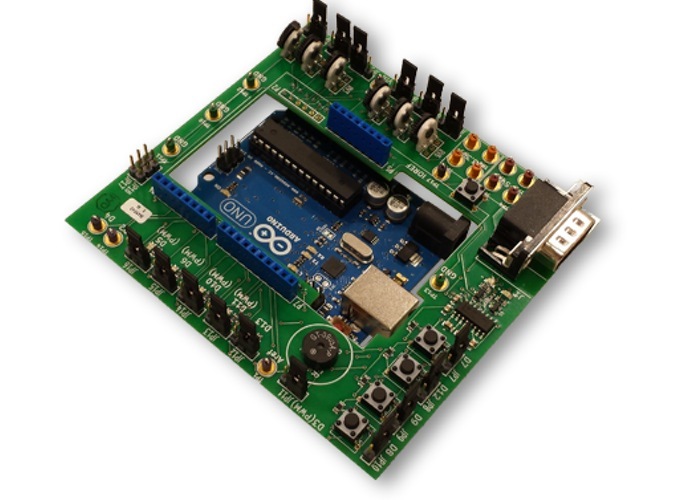 “Do you love Arduino development BUT dread testing your hardware because there is no easy way to attach things like your meter, oscilloscope or probes? Well fear not, ArduinoNaut, Dr.Duino™ is here to the rescue! So if you think Dr Duino is something your Arduino creations could benefit from, visit the Kickstarter website now to make a pledge and help Dr Duino become a reality.